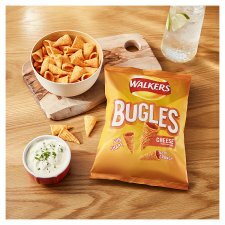 Discover our Walkers Bugles Snacks - a fun cone shaped snack for a tasty crunch. 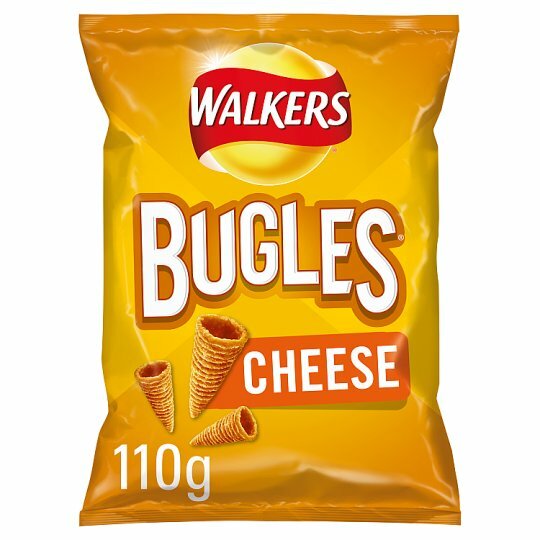 Enjoy the great taste of Walkers in a fun shape with a unique texture. Can't keep your hands off them? 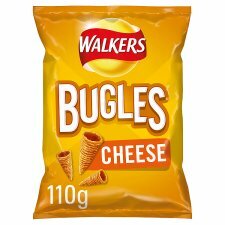 Walkers Bugles are also available in Southern Style BBQ and Sour Cream and Black Pepper flavours. Discover the wider range of Walkers Snacks. Why not try Walkers Mix Ups? All your favourite Walkers snacks in one bag - 4 different snacks = 4 x the fun!